Back in the early '60s a childhood friend and I joined a 4-H beekeeping club in Box Elder County, Utah. Under the guidance of the club advisor, who was an experienced beekeeper, several of us youth in the area learned to care for honey bees and to harvest and sell honey. 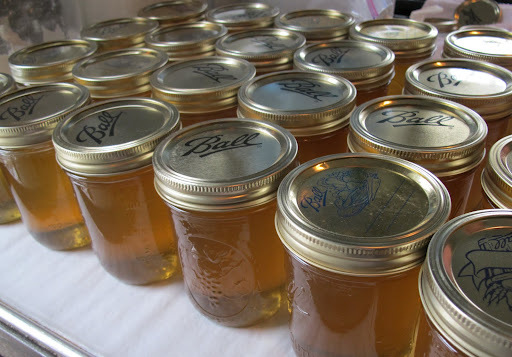 At some point, I recall having to get a state beekeeper's license but I don't remember having any other required licensing or regulation to harvest, package, and sell my honey. A typical bee hive will produce 40-100 pounds of honey above what the bees need for their own needs – far more than a beekeeper and his family can use. Therefore, even a small-scale hobbyist beekeeper must sell, give away, or discard much of that honey. The income from that hobby helped put me through college. 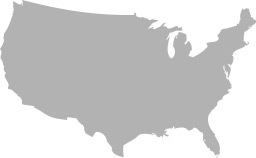 I stayed with it until I graduated from college and began a career as an Air Force officer in 1974. A few months ago, I volunteered to start a 4-H beekeeping club here in Iron County, Utah. In order to give the county's youth the best possible beekeeping experience, I set about gathering the necessary resources and studying all that has changed in beekeeping over the past 40-50 years. Some of what I have learned is troubling. I've learned about new pests, diseases, pesticides, and genetically-modified (GMO) crops which appear to threaten the survival of the honey bee. Pollination by the honey bee reportedly is responsible for one-third of the nation's food production. Even urban and suburban homeowners rely on unknown and unseen hobbyist beekeepers in their neighborhoods for pollination of their garden vegetables and fruits. 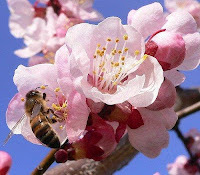 Without honey bee pollination, California's almond crop would be cut by 90%. It is therefore essential that the honey bee be protected. I am convinced that the backyard hobby beekeeper will be the salvation of the honey bee because large commercial beekeepers must place their hives where they face the intense use of pesticides and GMOs on large mono-culture farms. Certain commercial beekeeping practices necessary for pollination are extremely stressful for the bees. Backyard hives generally don't face that level of danger. Therefore, the hobbyist beekeeper must be protected. That leads to what I find to be most troubling: The heavy-handed government control over a successful beekeeping hobbyist. 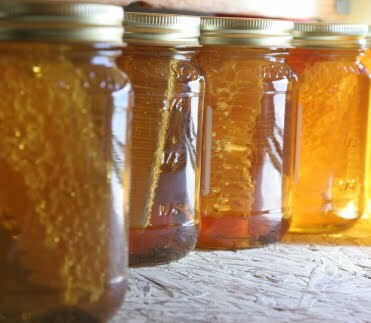 Current law requires each of my 4-H beekeeping youth to have a state Beekeeper's License ($10 for up to 10 hives). If he or she is to sell any of his honey, he or she must also train for, and possess, a Food Handler Permit ($21 here in Iron County) and a state Cottage Food Producer License ($30). Add to that business licenses and business registration with various local and state government entities and a young 4-H beekeeper faces substantial bureaucratic obstacles to a small hobby that will likely result in a small amount of sales. The law even requires a bureaucrat's approval of the label on the bottle! The heavy level of licensing and regulation required of even a non-4-H hobbyist beekeeper who sells part of his harvest is daunting. I have been advised by an employee of the Utah Department of Agriculture and Food that, "typically, when dealing with an organization like , where the purpose is more educational and charity based than commercial, we would not require you to be officially registered. Charity bake sales don't register, for example." That statement is comforting, but also troubling. There does not appear to be any statutory or regulatory exemption for "educational and charity based" sale of food products such as honey or even cookies and cupcakes. All we have to go on is a statement by a government employee that the law isn't "typically" enforced in such cases. Does the above statement mean that all sales must be through the club, even though each member is keeping his own hive(s) and processing his own honey? Or, is he or she free to do everything on his own, from tending the hive through selling honey? Additionally, at what volume of sales would a 4-H youth attract the attention of the Utah Department of Agriculture and Food or other regulatory agency and face enforcement action? There is a dangerous level of vagueness that can easily entrap a 9-year-old novice beekeeper and her 63-year-old 4-H adviser. There is no such "we won’t enforce the law" protection for a small-scale non-4-H hobbyist beekeeper who wants to sell a few bottles of surplus honey. To resolve this dilemma, I urge that, at a minimum, Utah Codes 4-5-9.5 and 4-11 and R70-560 be amended to clearly establish the beekeeper's license as including the privileges and rights of a Cottage Food Producer, Food Handler, and small business as well as the sole license necessary at all state and local levels for the hobbyist production and sale of honey for persons possessing or managing 10 hives or less. To ensure the safety of the product, I also suggest a restriction that juveniles should be monitored by a responsible adult while processing and packaging honey for sale. This regulatory and licensing relief is essential to make it easy for new beekeepers to get into the hobby and to avoid pushing existing hobbyist beekeepers into a honey black market. It's one of countless areas in which government needs to be pushed back to the limited role that a free and prosperous people needs.